The Shakespeare event of the Bank Holiday weekend is the new version of King Lear to be screened by BBC2 on Monday 28 May 2018. And hopefully people won’t be too tired after a day having fun to tune in, as it promises to be terrific. Anthony Hopkins plays the King, supported by an amazing cast that includes Emma Thompson as Goneril, Emily Watson as Regan, Jim Carter as Kent, Jim Broadbent as Gloucester, Karl Johnson as the Fool and Andrew Scott as Edgar. Even Christopher Eccleston is in there, playing the relatively small role of Oswald. The film is directed by Richard Eyre, whose award-winning production of the play at the National Theatre starred Ian Holm. Apparently Hopkins said he would only take part if directed by Eyre. He has played the part before in a production by David Hare about thirty years ago but felt he was too young for it. 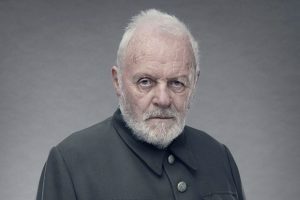 Lear rather oddly claims to be “A very foolish, fond old man, four score and upwards, not an hour more nor less” and at 79 himself, the fit-looking Hopkins feels he’s now the right age. Many actors have several cracks at the role, including Laurence Olivier who played it both on stage and, at 76, on film, as did Paul Scofield, on both occasions directed by Peter Brook. 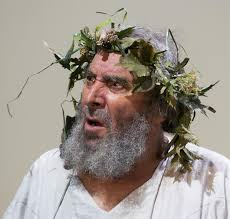 At the moment Antony Sher (aged a mere 68), is reprising Gregory Doran’s production first seen in 2016. Later this summer Ian McKellen, also 79, is playing the role again in London in a revival of a 2017 production, having first played the part for the RSC in 2007. This depiction of a world gone mad includes scenes of suffering and dreadful cruelty as well as tenderness and loyalty, at all levels of society from royalty to the homeless. At its heart is a family falling apart. Eyre’s earlier production, staged in a studio space, focused on the domestic crisis. “One of the reasons I was fascinated by the play is that it takes the family as a microcosm of the state, and of course all parents have the potential for tyranny”, he says in an interview in the Radio Times, and Hopkins has picked up on the idea, saying in his interview in the same journal “I wanted to do him as a fast, furious old man who is incapable of love…I felt that in his early life, he was deeply hurt and savaged by some awful emotional calamity and he turned his ire on the human race and his three daughters…You don’t have to like your family. Children don’t like their fathers, you don’t have to love each other”. The play isn’t, though only about one family, no matter how important they might be. In his introduction to the Arden Edition, Reg Foakes sums up its significance for every age: with its “astonishing imaginative range of its action, its language and its imagery” we can see the play “in terms of universal values, as a kind of objective correlative for the spiritual journey through life of suffering Man”. 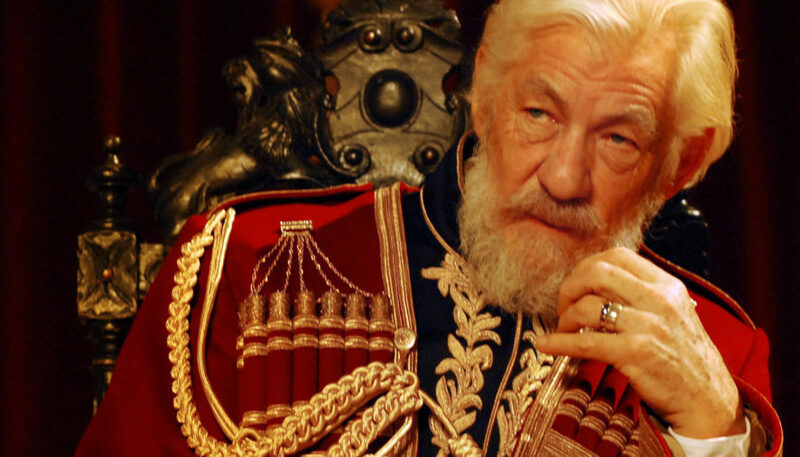 King Lear is never an easy play to watch, but it’s worth it. Even if you’ve never seen it before, give this version a try as it should be outstanding. And even if you miss it, it will be available on Iplayer after transmission. This entry was posted in Plays and Poems, Shakespeare on Stage and tagged Anthony Hopkins, Antony Sher, BBC, Ian McKellen, King Lear, Reg Foakes, Richard Eyre. Bookmark the permalink.